Bar tool gift set Strainer, Bottle Opener,knife and Ice tong Our Service 1. OEM Manufacturing welcome: Product, Package... 2. Sample order 3. We will reply you for your inquiry in 24 hours. 4. After sending, we will track the products for you once every two days, until you get the products. When you got the goods, test them, and give me a feedback.If you have any questions about the problem, contact with us, we will offer the solve way for you. FAQ Q1. What is your terms of packing? A: Generally, we pack our goods in neutral white boxes and brown cartons. If you have legally registered patent, we can pack the goods in your branded boxes after getting your authorization letters. Q2. What is your terms of payment? A: T/T 30% as deposit, and 70% before delivery. We'll show you the photos of the products and packages before you pay the balance. Q3. What is your terms of delivery? A: EXW, FOB, CFR, CIF, DDU. Q4. How about your delivery time? A: Generally, it will take 30 to 60 days after receiving your advance payment. The specific delivery time depends on the items and the quantity of your order. Q5. Can you produce according to the samples? A: Yes, we can produce by your samples or technical drawings. We can build the molds and fixtures. Q6. What is your sample policy? A: We can supply the sample if we have ready parts in stock, but the customers have to pay the sample cost and the courier cost. Q7. Do you test all your goods before delivery? A: Yes, we have 100% test before delivery Q8: How do you make our business long-term and good relationship? A:1. 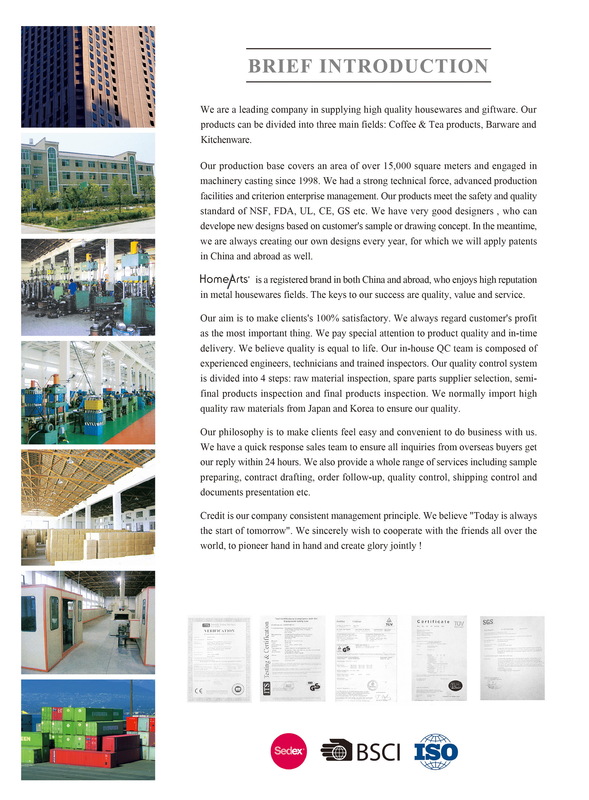 We keep good quality and competitive price to ensure our customers benefit ; 2. We respect every customer as our friend and we sincerely do business and make friends with them, no matter where they come from. Looking for ideal Cocktail Tool Manufacturer & supplier ? We have a wide selection at great prices to help you get creative. All the Bar Tool Set are quality guaranteed. 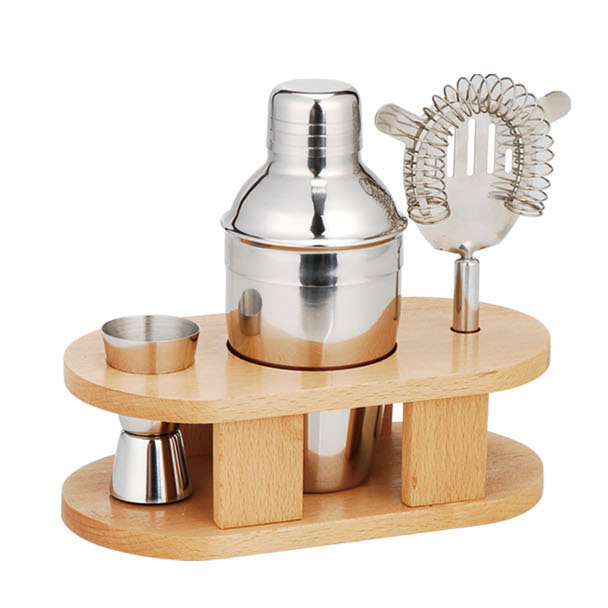 We are China Origin Factory of Cocktail Shaker Set. If you have any question, please feel free to contact us.